The players have just returned from their final break of the night and the blinds have just been increased to 6,000-12,000 with a 2,000 ante. 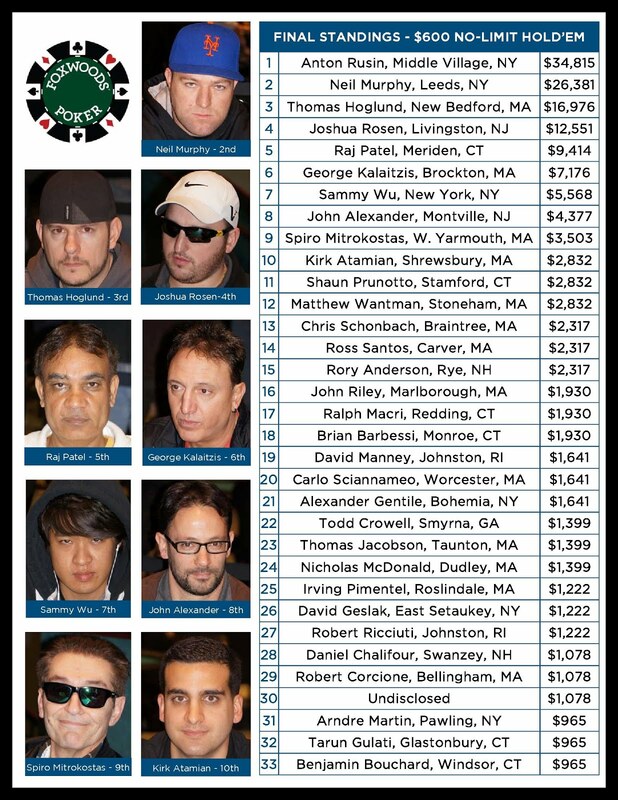 With 43 players remaining, the average chip stack is now 220,000. Play will continue tonight for four more levels. 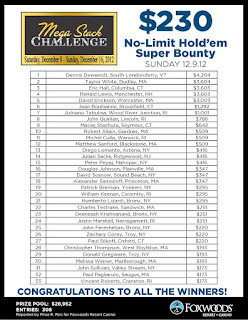 All players are now guaranteed at least $588. With less than five minutes remaining in the 2,000-4,000 with a 400 ante level, we are below 100 players remaining in the $300 No-Limit Hold 'em Mega Stack Challenge event. The average chip stack with 98 players remaining is now 96,600. The final 72 players will finish in the money. The players in the $300 No-Limit Hold 'em Mega Stack Challenge event are now on their one-hour dinner break. 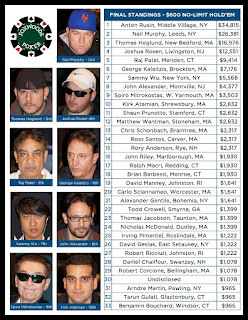 With 138 players remaining, the average chip stack is now 68,600. We had a total of 631 players in today's $300 No-Limit Hold 'em event at the Foxwoods Mega Stack Challenge. 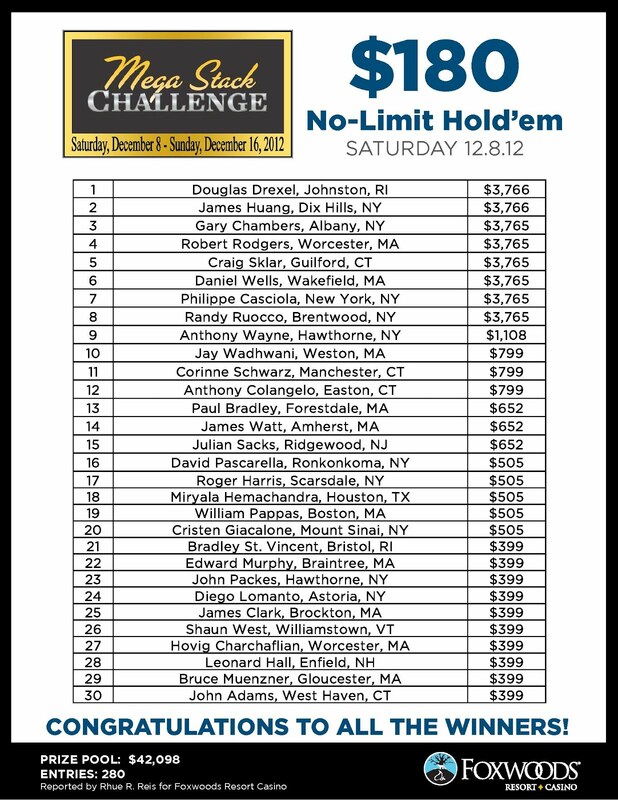 The final 72 spots will finish in the money. There are currently 293 players remaining with the blinds at 500-1,000 with a 100 ante. Day 1 of the $300 No-Limit Mega Stack Streaming Live! 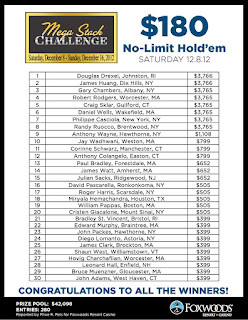 The feature table on Day 1 of the $300 No-Limit Hold 'em Mega Stack Challenge event is now streaming live. 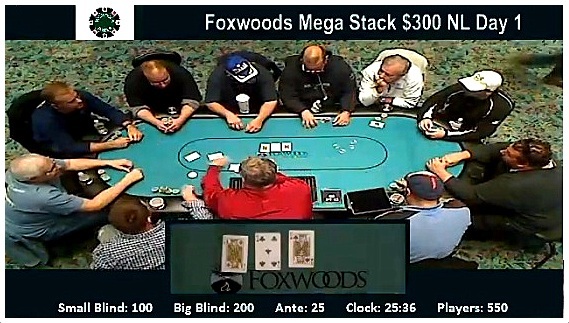 Just click on FoxwoodsLive.com to view to live feed. 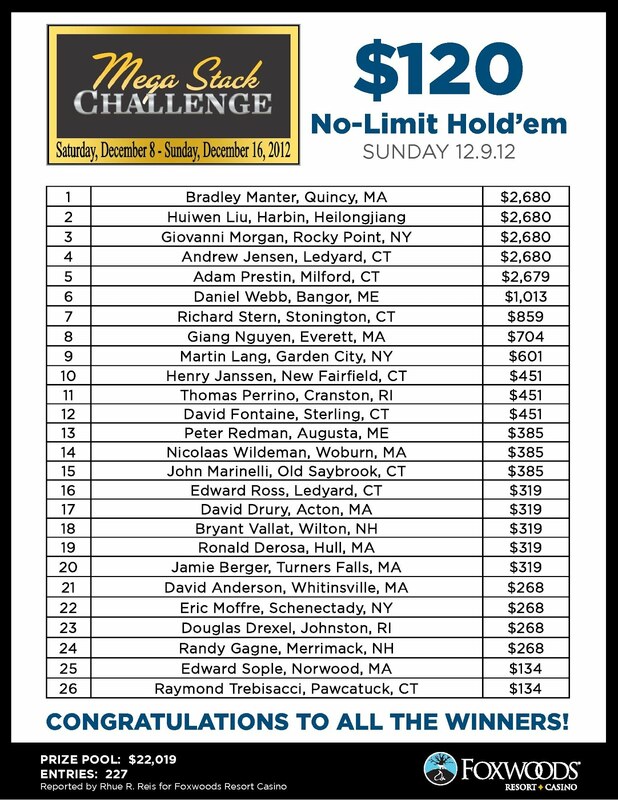 Level 3 of the $300 No-Limit Hold 'em Mega Stack Challenge event just got underway. The blinds are now 75-150. 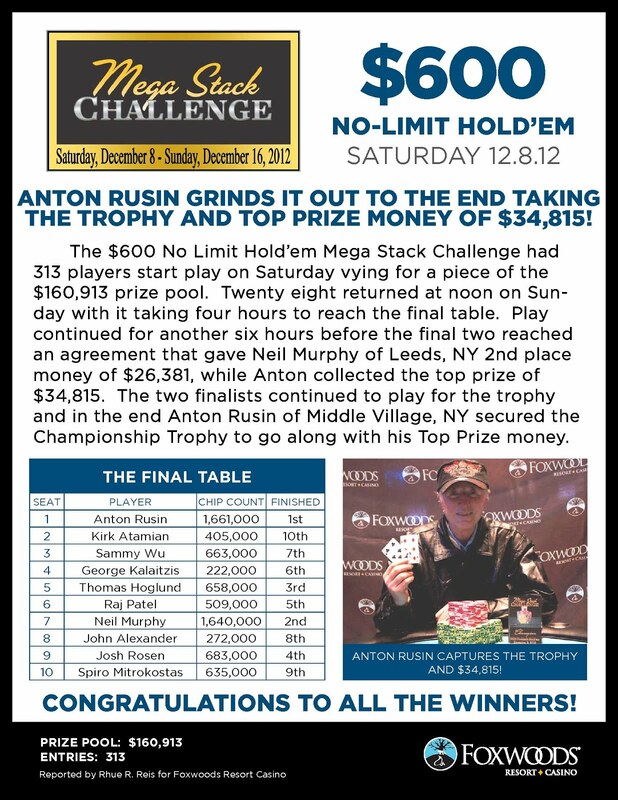 Players started with 15,000 in chips. There are now over 600 players registered for today's event. This event featured a $100,000 guarateed prize pool.